Mice are a public health pest, much the same as rats. For this reason, we recommend that it is essential to deal with the problem with a professional mouse control service as quickly and promptly as possible. As well as damaging your food, urinating and leaving droppings all around your property, they could be causing you quite a few health problems. As with our rat control treatment, a mouse control treatment starts with a thorough survey. During this, we try and establish how the mice have gained entry into the property. We then make a decision on how best to effectively remove the vermin. Our treatments of mice will then be carried out over three visits and. As with rats, all our baits are placed in tamper-resistant bait boxes to reduce the risks of any non-target species, children or pets gaining access to the rodenticide. Mice are widespread across the UK but generally, they come in to contact with humans more in autumn and early winter. It’s during this period when field mice are looking for winter nesting and our nice warm homes make ideal locations. There are a number of varieties of mice common to the UK but all are capable of reproducing extremely quickly. Mice can have anywhere between 3 and 10 litters a year and each litter can contain on average 6 to 8 young. All this means that if you do have some mice that decide that your home or business makes an attractive cold weather retreat you could soon have a rather large problem on your hands. Droppings – One mouse can produce 50-80 droppings a night and they tend to be small and dark. In homes, a mouse will generally try and stay hidden in cupboards or along skirting boards so check these areas for thoroughly. Smell – As well as producing a lot of droppings they also urinate frequently and this has an unpleasant ammonia-like smell. The urine, when combined with body grease and dirt, can build into urine pillars. These little mounds can be up to 4cm high so easily spotted with the naked eye. Urine pillars would generally only build up if the infestation is fairly large. Noises – Although they are small, when they are active, they can create scratching noises as they move about. It’s common to hear these noises in areas such as under floorboards, in cupboards, in loft spaces or inside partition walls. Grease Marks – If there has been an infestation for some time or there is a large number of mice then grease marks may be present. These appear as brown smears along skirting boards and walls on routes that are heavily used. Footprints – In dusty environments such as the loft rodents footprints are often clearly visible. In areas where there is less dust, you can use flour to recreate the effect to see if any tiny footprints appear. 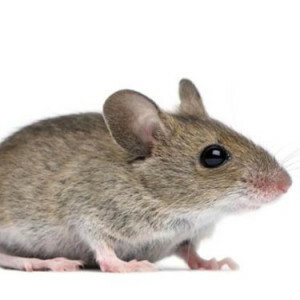 Deterring mice from entering your home or business is a relatively easy and low-cost process. Mice have soft skeletons and are therefore extremely adept at squeezing through the smallest of holes or gaps. Check the outside of your property for any points that mice may be able to enter. Gaps in window or door frames are common as are the holes where pipes enter or exit your brickwork. There are a number of special fillers available for this task. However, plaster filler with small pieces of broken glass mixed in is just as effective. Having a mouse infestation in your business premises is not only very unpleasant it can also be damaging to trade especially if you’re a company that works with food. At Confirm A Kill we deal with rodent infestations on a regular basis and provide an affordable and discreet service that will create the minimum of disruption to your business. For total peace of mind why not speak to us about a pest control contract. This will give you all year round protection against unwanted pests and an emergency call out service is all part of the package. If you think that you have a problem with mice then get in touch with us for a free, no obligation quote.